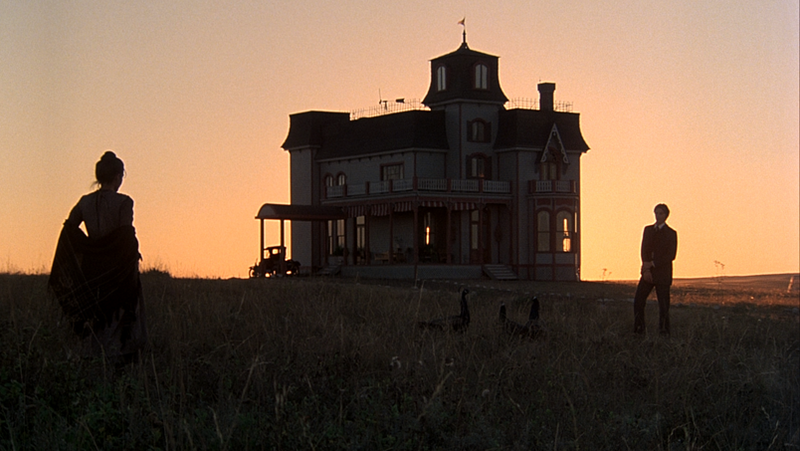 Coated Arms : Everyone looks beautiful in the setting sun. Everyone looks beautiful in the setting sun. Natural Incandescence: The Magic Hour. 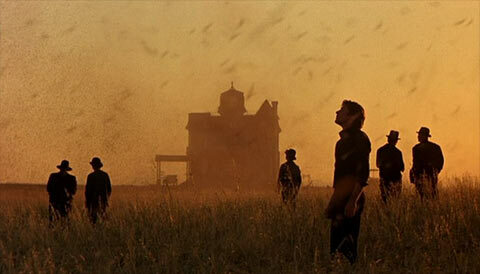 Days Of Heaven Directed by Terrence Malik 1978. 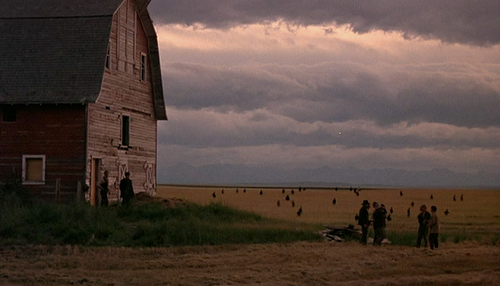 Lighting by Nestor Almendros. 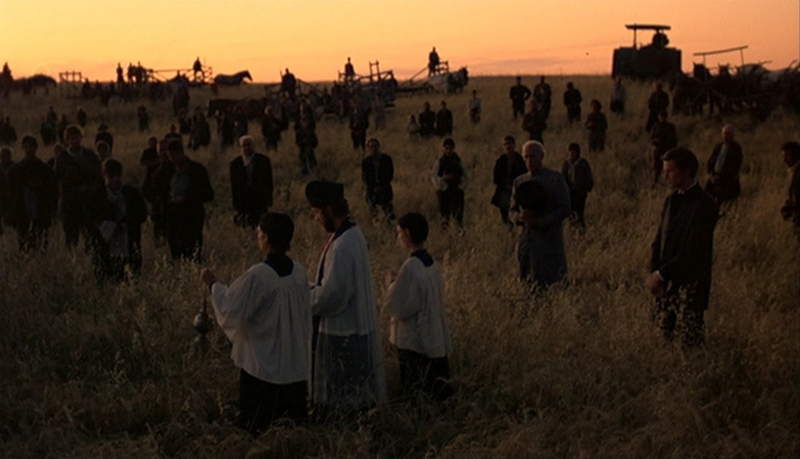 Much of the film for Days of Heaven was shot during "magic hour". It is the moment when the sun sets, after the sun sets and before it is night or as well as the morning light just before and as the sun begins to rise. The sky has light, but there is no actual sun. The light is very soft, and there is something magic about it. It is more like 30 minutes of soft light rather than an hour. 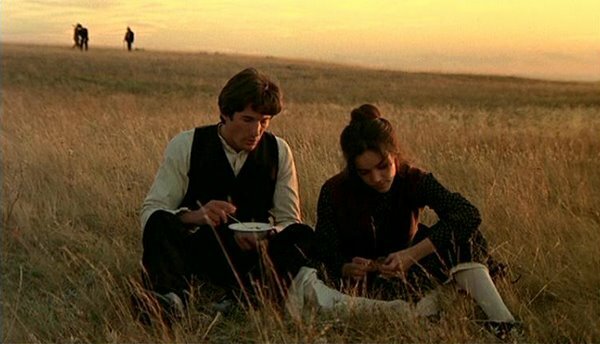 This light gave Days of Heaven a kind of magic look, a beauty and romanticism. 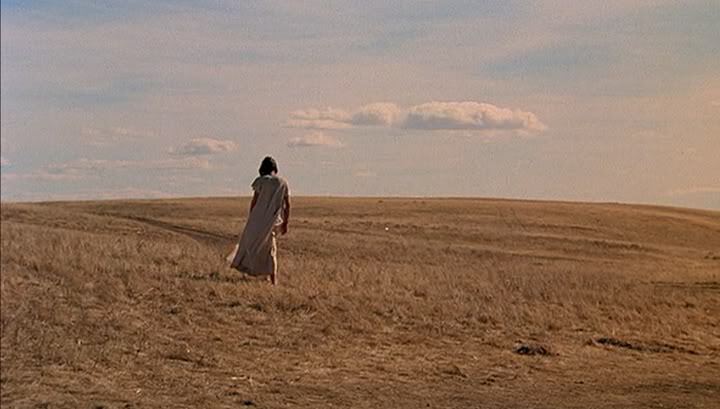 It was integral to the filming and helped evoke the painterly quality of the landscapes in the film.